Made from Organic Flax Seeds. 100% Chemical Free. The Way Paint Used to Be! An "acrylic-free" website. Fast drying Linseed Oil varnish. Reapply only after 8 hours of dry time. Le Tonkinois No. 1 has been more refined compared to the Classic Le Tonkinois (below) and has some slightly different characteristics. 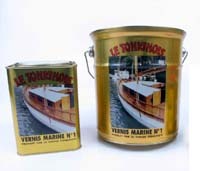 Probably the world's best varnish for your home or for any marine application. This varnish does not peel or crack. It will be absorbed by the wood over time. Can be recoated after 3-5 years. You can also maintain the surface with our Allback purified linseed oil or the organic linseed oil wax.100% organic and environmentally safe. Go green. It does not form a skin in the can. 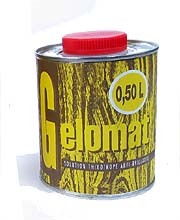 It penetrates better in wood and it gives a higher gloss than the Classic Le Tonkinois. 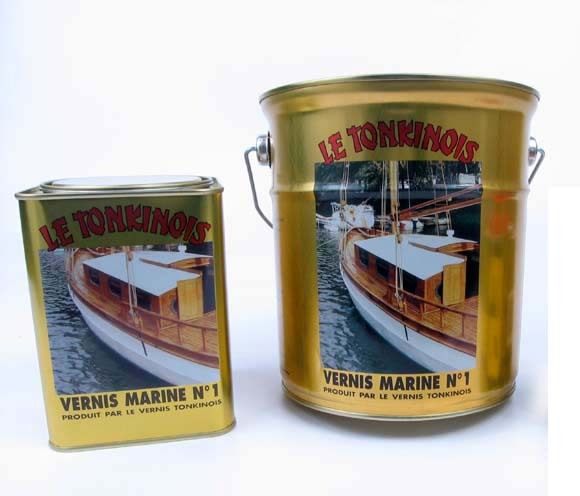 Le Tonkinois Linseed Classic varnish levels the surface with fewer coats compared to the No. 1 varnish. This varnish does not peel or crack. It will be absorbed by the wood over time. Can be recoated after 3-5 years. You can also maintain the surface with our Allback purified linseed oil or the organic linseed oil wax.100% organic and environmentally safe. Go green. Linseed oil varnish PRIMER. Le Tonkinois Bio Impression. To get an even longer life out of your LeTonkinois varnish, Bio Impression penetrates deeper into the wood allowing the Le Tonkinois varnish to adhere even better. Le Tonkinois Bio impression will also work as a stand alone varnish too. Creates a flat surface. Apply only on clean sanded surfaces. Exterior as well as interior applications. 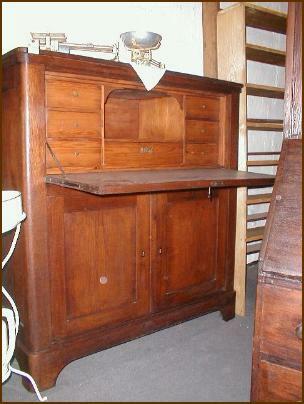 Remove any chemical acrylic, epoxy or polyurethane varnish. Avoid silicone tack cloth or cleaners. Matte Organic Linseed Oil Varnish. 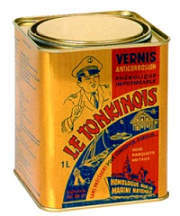 Can be mixed into the high gloss Le Tonkinios varnish for a lower gloss surface. This mixture forms a very thin layer that takes somewhat longer to cure and produces a nice, matt finish. Produces a very durable and long lasting matt finish for your home or in any marine application. Outlasts any other varnish many times over! Easy to maintain by adding coats over time. Does not crack or peel. Naturally UV resistant. 100% organic and environmentally safe. For satin surfaces, mix Le Tonkinois varnish in equal volumes. This is an excellent hard surface linseed oil varnish for high traffic interior floors. Apply on a dry and clean surface. Preparation of surface: Clean the surface with linseed oil soap: Wet the surface with water and apply the linseed oil soap directly onto the wood surface. Scrub with a stainless steel scrub pad. Wipe surface with a microfiber cloth. Let dry. First few coats should always be the organic raw linseed oil that will soak deep into the wood making the linseed oil varnish last significantly longer. Not suitable for any exterior applications. This varnish is an irritant when applying. 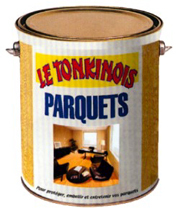 Le Tonkinois is a natural varnish without any solvents or chemicals that is based on Linseed oil and Tung oil. It is completely environment friendly; it dries quickly and can be recoated after 24 hours. 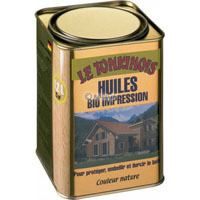 Le Tonkinois Linseed Oil Varnish is equally at home inside and outside. It withstands walking and persistent humid conditions and is ultraviolet light resistant. These characteristics make the product ideal for a marine environment. It withstands abrasion, seawater and weather. The Linseed Oil Varnish is excellent for applying directly onto new wood as well. 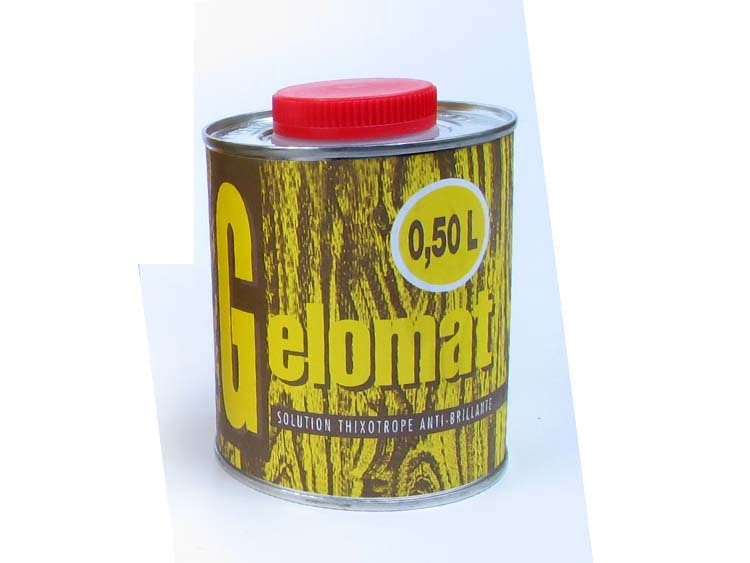 This is extremely long lasting and is superior to any petroleum base varnish. Because of the absence of volatile solvents, the varnish builds up quickly such that four layers suffice to give a coat of approximately 200 microns. A layer this thick is ample protection against water penetration. Blisters do not form and the layer is sufficiently hard to withstand abrasive action and modest mechanical impact, yet is elastic enough not to crack. Case Study: Varnishing A Wooden Boat with Organic Linseed Oil Marine Varnish To avoid the massive labor of varnishing every year and having to repair rot on your wooden boat you can use organic linseed oil and organic linseed oil varnish. Read full article. 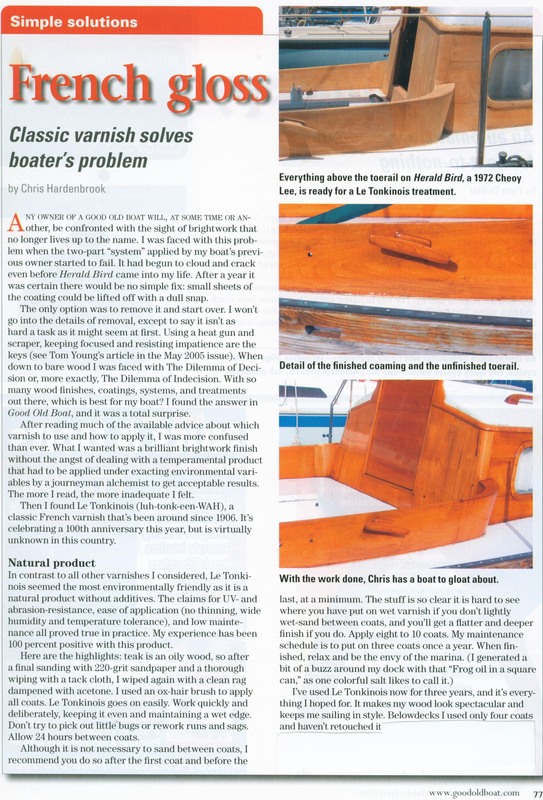 Case Study: Classic Varnish Solves Boater's Problem Any owner of a good old boat will, at some time or another, be confronted with the sight of brightwork that no longer lives up to its name. Read full article.